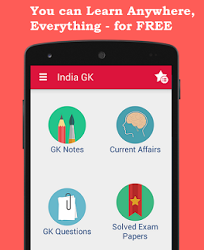 13th, 14th December 2016 Current Affairs MCQs, Quiz, Questions: Current Affairs for December 2016, Daily Multiple Choice Questions (MCQs) for India GK, World GK and current affairs with Collection of daily objective type Question by www.Indiagk.net based on General Knowledge (GK) and General Science (GS) Questions for UPSC, State PSC, SSC, Police exam, Railway exam, SBI, Bank PO, IBPC, SSC, LDC, UDC, Army, Airforce, Navy, Coast Guard, Bank Clerk, TET and all entrance examination with current affairs News, Multiple Choice Questions (MCQs) available on Website www.IndiaGK.net and Android Apps with daily updates:. Who is chosen as Next Prime Minister of Italy? Who was sworn-in as new Prime Minister of New Zealand on 12 December 2016 ? Where is the world’s longest tunnel operating? Who has been chosen as the US Secretary of State? Who has been removed as director of TATA Industries on 12th Dec, 2016? Who wins World Billiards Championships title 2016? Who is appointed UNICEF's Global Goodwill Ambassador recently?